Home/Blog, Data Storage, Document Scanning, Fire safe/BREAKING NEWS! St Nicholas has been nicked! Father Christmas seems to have deemed the millions of previous year’s wish lists from children worldwide as an ‘annoying’, cluttering up the toy factory. His wife Mary Christmas tried on a variety of occasions to explain that DataSpace could store all of Father Christmas’s archives, which would in turn open up much more space in the workshop as well as meeting many Data Protection requirements. He wouldn’t have even needed to worry about moving his archives off site as DataSpace have their own fleet of dedicated retrieval vehicles. With times being tough due to the current economic climate Father Christmas thought he have to have all of his archives scanned in bulk if he chose to store his documents at one of DataSpace secure and modern facilities, even though many of the previous year’s wish lists would never need to be retrieved. If only Father Christmas would have enquired into DataSpace‘s scan on demand service he would have been given training to use FileLive which is DataSpace‘s unique web based document management software that allows Records managers to manage, track and view both current and legacy document. This also would have been a lot more efficient for the elves as they would then be able to concentrate 100% of their time making toys instead of wasting their time rummaging through all of the old Christmas wish lists. 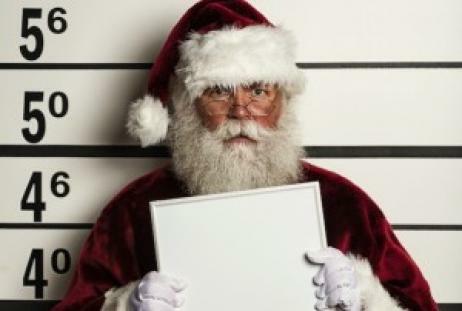 Do not get caught out like Father Christmas, if you have a question get in touch. Here at DataSpace Uk Ltd no query is too big or too small.